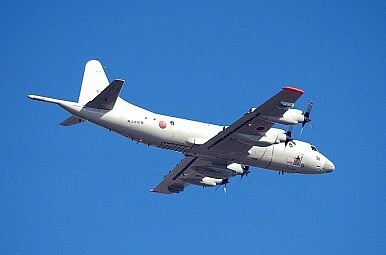 A Japanese surveillance plane flew over disputed waters in the South China Sea on Tuesday, as part of joint drills with the Philippines. As The Diplomat reported previously, the Philippines is holding separate drills with the United States and Japan this week, with both exercises held near the South China Sea. The Japan-Philippine drill, only the second ever between the two countries, simulated maritime search and rescue operations, part of the drill’s larger focus on humanitarian assistance and disaster relief. Philippine Marine Colonel Jonas Lumawag, describing the drill, told reporters, “We practiced search and rescue patterns, which are essential in any humanitarian assistance and disaster response operations.” According to Yomiuri Shimbun, the drill involved a mock search for a shipwrecked vessel. However, Yomiuri also noted that the Philippine officers on board were “apparently greatly impressed by the P-3C’s excellent ability to detect submarines” – exactly the capability that makes China most nervous about U.S. P-3 patrols. In the post-drill press conference, Lumawag said that the Philippines is eager to learn from Japanese experience operating such surveillance planes. Still, the Philippines was quick to note that the drills (both with Japan and with the United States) are not aimed at any specific country. “The Philippines has had these exercises before with our strategic partners. It should not be taken as an affront to any other and is an expression of cooperation and learning from all those involved,” Deputy Presidential Spokesperson Abigail Valte told The Philippine Star. A Navy spokesperson agreed, saying, “We are doing this for interoperability” – not to send a message about the maritime disputes. Still, experts believe the joint drill could be a precursor to Japanese joint patrols over the South China Sea, something the United States has expressed interest in before. “It’s likely we will see Japan doing joint surveillance and reconnaissance in the South China Sea in the coming years… It is going to be with the U.S., Australia, the Philippines, and others,” Narushige Michishita of the National Graduate Institute for Policy Studies in Tokyo told the Associated Press. China, for its part, continues to repeat its basic message to Japan: stay out of the South China Sea. A Xinhua commentary published before the joint drill actually took place called the exercise “the latest sequel to Tokyo’s meddling in the South China Sea.” The author, Wang Haiqing, noted several reasons for “Tokyo’s recent obsession to meddle in the South China Sea”: seeking to force China to divert resources from the East China Sea (where it has a territorial dispute with Japan) to the South China Sea; hoping to portray China as an aggressive “bully” in order to win more domestic support for the Abe administration’s security and defense reforms; and trying to distract the world from historical issues regarding Japan’s actions in World War II. “Japan, which is not a party to the disputes in South China Sea, should abandon all attempts to stir waves in the area,” Wang concluded. The deployment was a first for the Philippine Navy.